The setback on healthcare was because the bill sucked. The travel ban was a win in the polls and exposed the insanity of our nation's activist judges. Becoming a liberal is not the solution. Steve Bannon is a learned nationalist with a deep understanding of what's going on in the world. McMaster is a neocon beloved by Bill Kristol and other neocons. Kushner is a 36-year-old open-borders globalist. Ivanka is New York liberal pushing the global warming hoax and the equal pay for equal work myth. Right-wing nationalism is not compatible with neoconservatism and open-borders globalism. 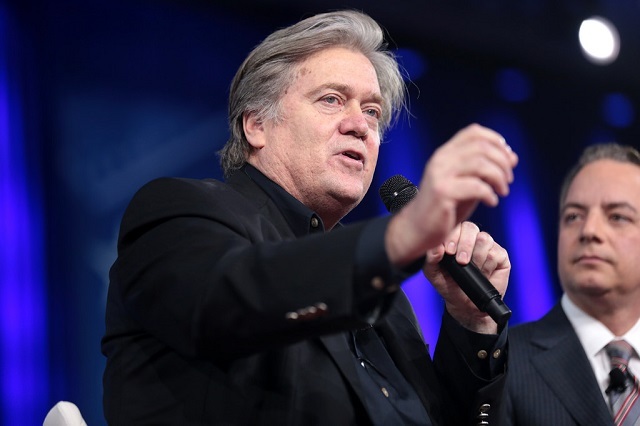 Trump won the election because he and Bannon working together had a message of right-wing nationalism and putting America first. Starting a war with Syria over a hoax attack which was probably staged by rebel terrorists is completely retarded. While he's probably being told it will make him a "war president" and could boost his poll numbers and unify the country, this is not the early 2000's. A gas attack in Syria is not 9/11. There is not going to be any popular support for this war, just as there wasn't any popular support for Obama's attempt to further invade Syria in 2013 after another similar, highly questionable gas attack. Even if the globalist media cheers him on and a few weeks from now becomes his biggest supporters, he's going to lose his base and many of his most fervent supporters. President @realDonaldTrump, we will not support a war with Syria. You are being played by war mongers. Trump needs to take his own advice and stick to fixing the broken U.S.